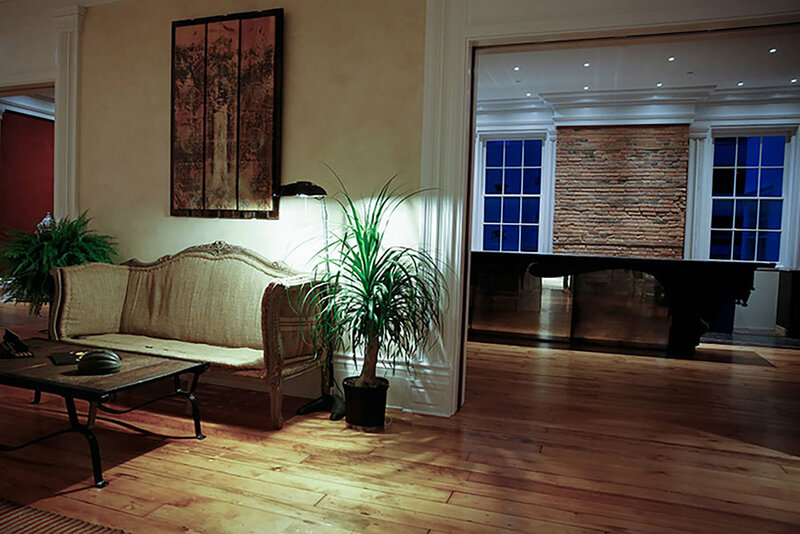 The renovation of this historic 8000-square-foot former mansion, located at 408 East State Street in Ithaca, NY, into a 14-guest room inn, bar, and lounge, was completed in the fall of 2013. The building, historically known as the McCormick-Cowdry House, was originally built by Jacob McCormick in 1831, and is one of oldest buildings in the East Hill District. 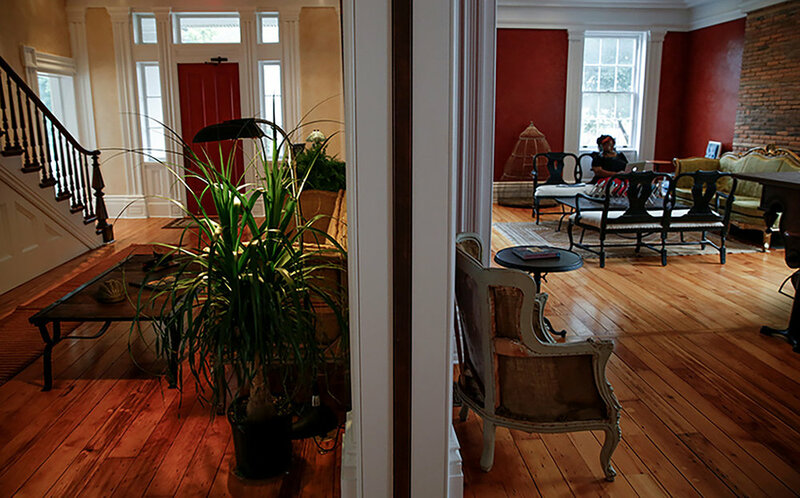 Inn owner Avi Smith has taken care to preserve existing details, while adding a modern touch. Ben Rosenblum Studio was the sustainability and LEED consultant on the project, advising on materials and renovation choices and guiding the team through the LEED documentation process. 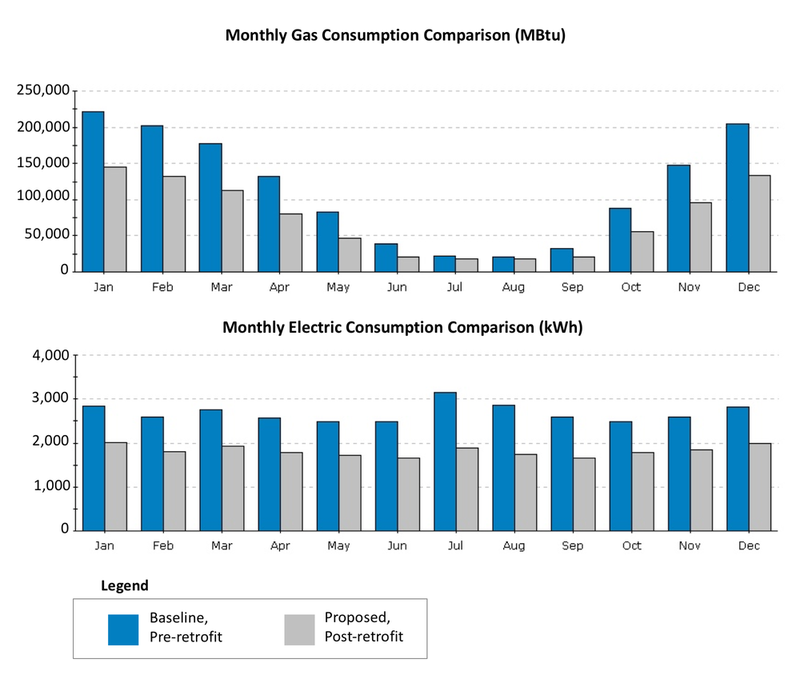 Prior to construction, we carried out retrofit analysis using eQuest software, shown in the last image, establishing that substantial energy savings of 20% to 30% could be gained by increases in basement, wall, and roof insulation, as well as a switch to energy-efficient interior LED lighting. 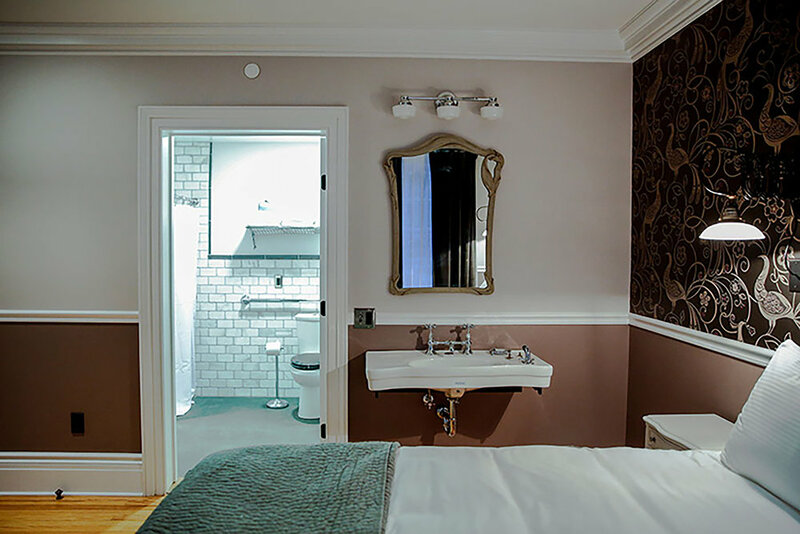 The new inn also has low-flow fixtures and a vertical, closed loop ground-source heat pump system, taking advantage of the stable temperature of the earth to increase heating and cooling efficiency.